This Fireman Pillow has a button enclosure! To The Rescue 16" x 16" Fireman Themed Throw Pillow - This fireman pillow is a great accent for our firefighter bedding. 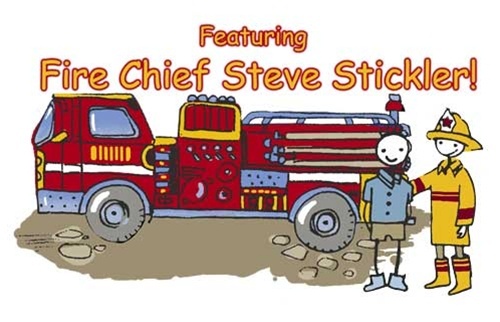 Features hand drawn stick figures just like what your son doodles at kindergarden. Our fireman pillow is made of matching fireman fabric and fireman pillows are available in the Tan or Blue colorway. Fireman pillows are 16" x 16" and are highlighted with a matching cord trim. 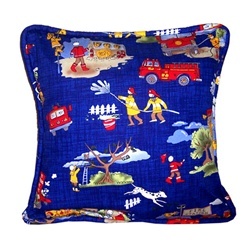 All fireman pillows are 100% cotton poplin, sure to last a long time. Fireman pillows have a two button enclosure backing so you can easily remove the outer fabric pillow cover for easy machine washing. 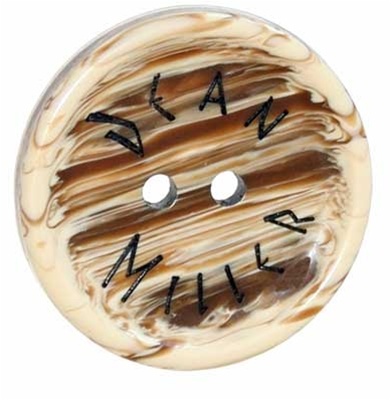 Pillow insert is a soft 100% polyester fill for boosted comfort. Click the image of the fireman pillow for a larger view. If you have any questions or concerns, please remember you can always phone us at 949.698.6278 or chat online with one of our fireman pillow experts!